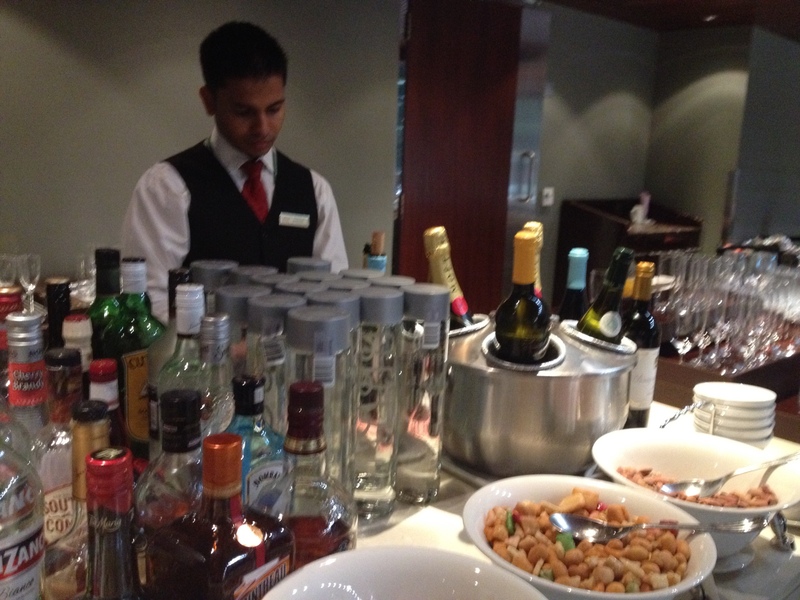 Enjoying the service in Emirates new Business lounge in Dubai..... at 2:30 am !!! 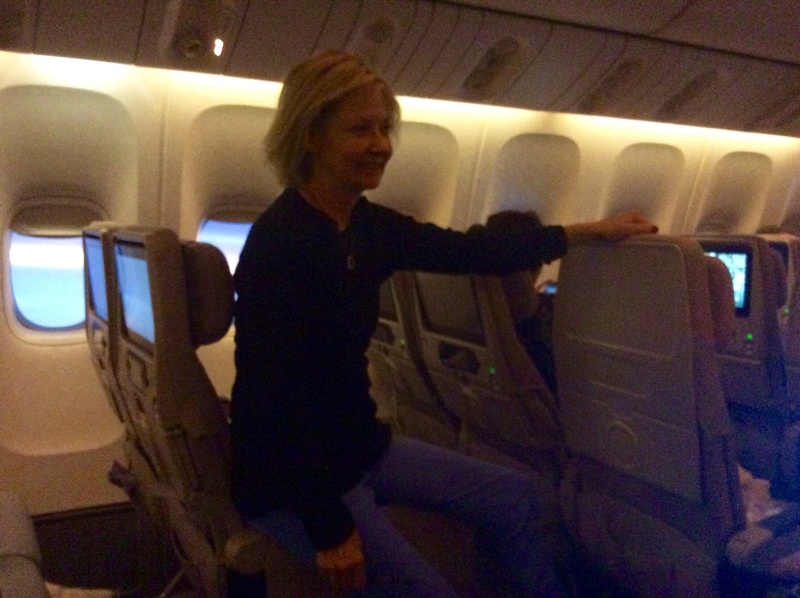 Wow, luck is really with the Memsahib today…the plane is indeed nearly empty, so M and I both end up with four seats each in the centre rows….. it’s an 11 hour flight, so we can stretch out on our makeshift ‘flat-bed’….. Maaaate…..this is even better than Business Class…. 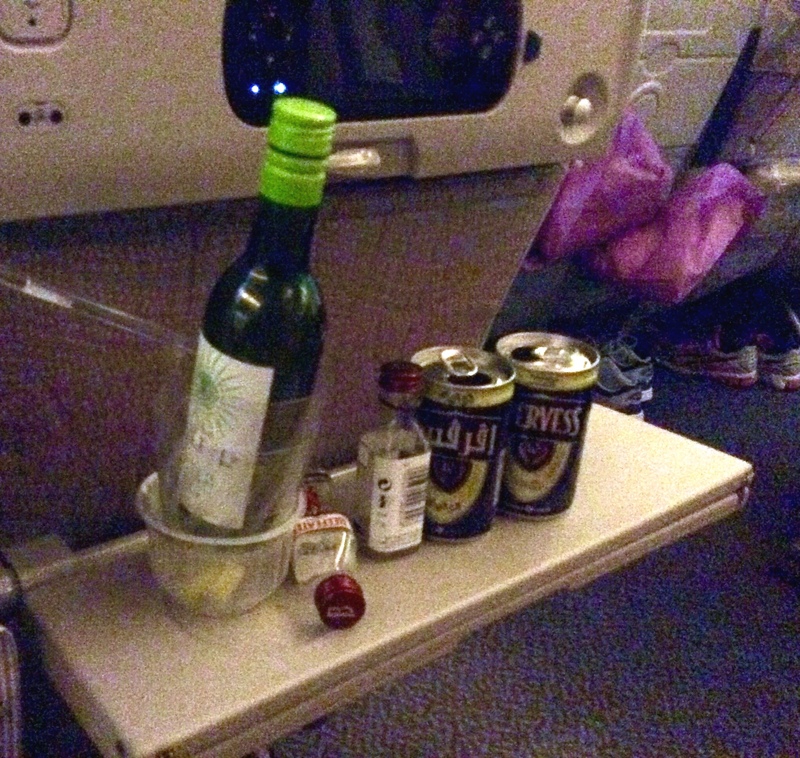 Service onboard is pretty good, probably because of so few passengers to take care of, so they are quick to respond to any of your requests for a drink…. ask for a Gin and tonic ( as I did) and 2 minutes later the hostie turns up with 2 miniatures of Gin….plus tonic, ice and a wedge of lemon…. The only thing they dislike is clearing away the emptys….still, cant really complain about that! 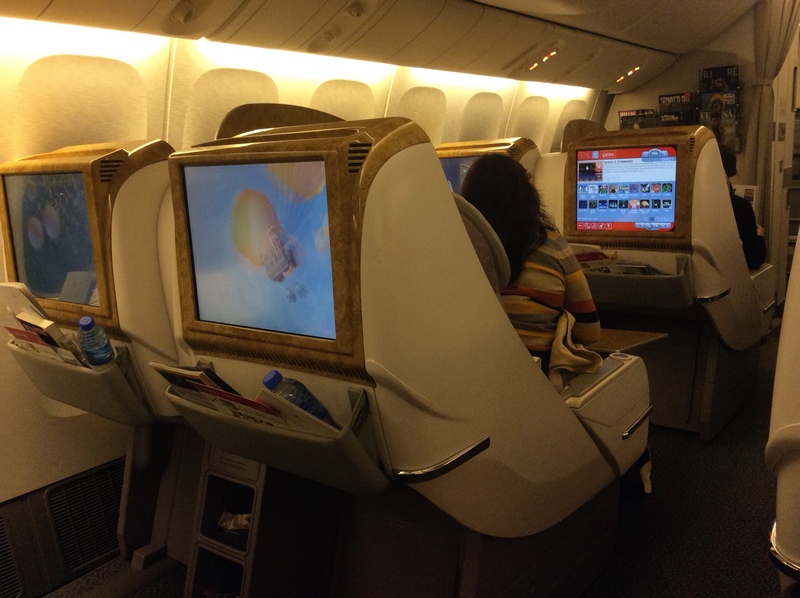 Our next leg from Dubai to Delhi is in Business Class….. I received an email 2 days ago offering an upgrade for just US$350 each….. and as we have a 6 hour stopover thought I’d take up the offer. Well worth it too, and that’s before we get on the flight. The Emirates Lounges in their new terminal are fantastic. 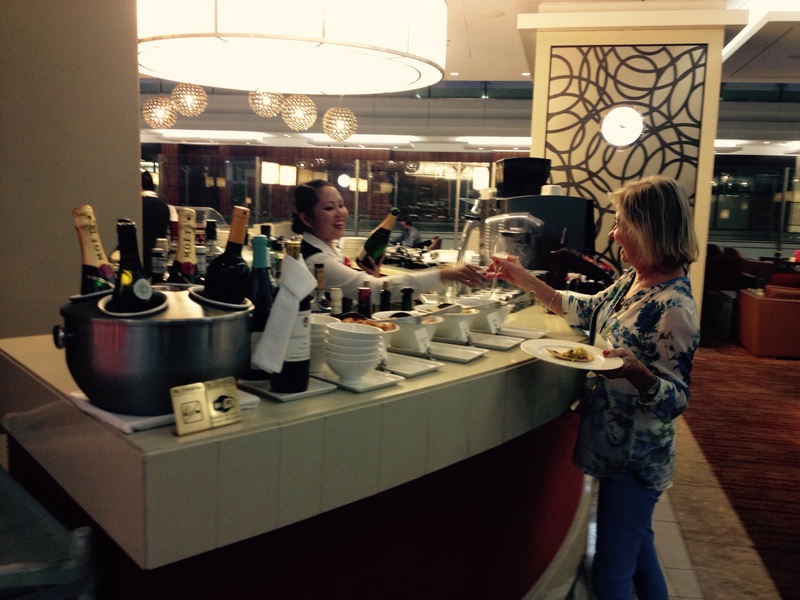 Great selection of food, wine and booze on offer, and though we didn’t manage to drink the full value of $350 in Moet, we had a ggood try! Onboard now, as I write this, and although not Emirates latest plane ( it is a bit old) still very comfortable up at the pointy end…. it’s a full flight too, so very pleased and happy that we aren’t esconsed at the back with the mob. Avoid contact with bodily fluids'' Advice i've tried to stick to all my life.... not often with success... but that was in the 60's!!! Tinny Tom Tom,well done mate….Moet noted!!!! 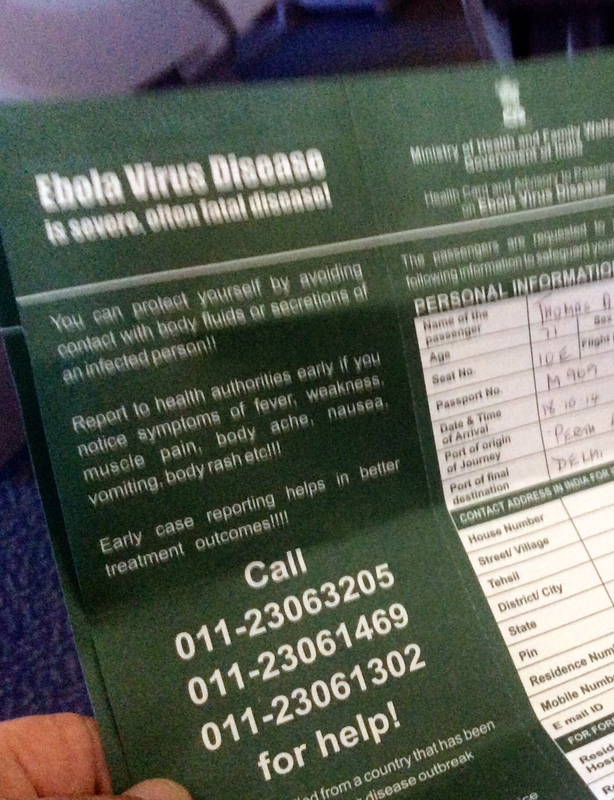 …Ebola….Bombay Sapphire will keep you immune….might help in other areas too! stay kool.